Our memories of our family love, fun and trips. A gift to Jaydon, so that when he grows up and he looks back at the memories, he will be reminded of God's goodness to the family and to him. 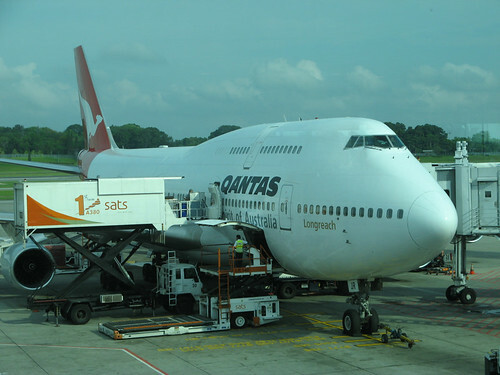 Flew on Qantas in the afternoon, reached Sydney at around 8pm. With all the construction happening then, it took me 1/2 hour walking and searching for the the shuttle bus to Sydney from the airport. At the end, manage to find the shuttle bus, which is on the extreme left hand side of the airport (when you exit from the airport). There are many shuttle buses from different company. 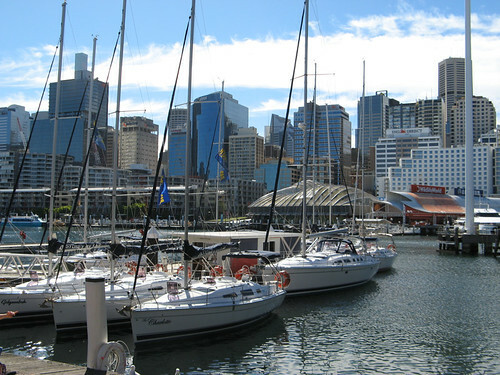 At the end, just decided on the first one that offer the price that I know is fair – AUD$12. There are 12 passanger in the bus and I was the last to be alighted. Anywhere, I took it as a free night tour for me, going to different places dropping passenger. Most of the drop-off are either budget hotels or Backpacker lodge. After an hour in the bus, I finally reached my destination at BIG Hostel (aka BIG on Elizebeth) . 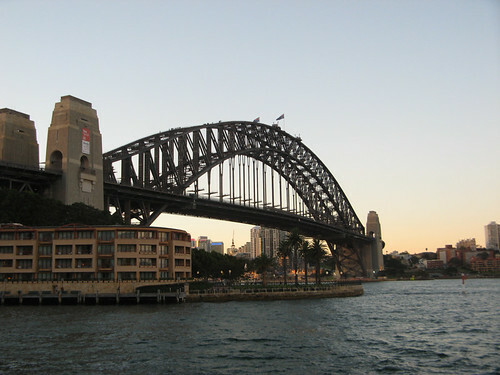 – A lady from England, working as a nurse in Sydney, moving on to New Zealand. 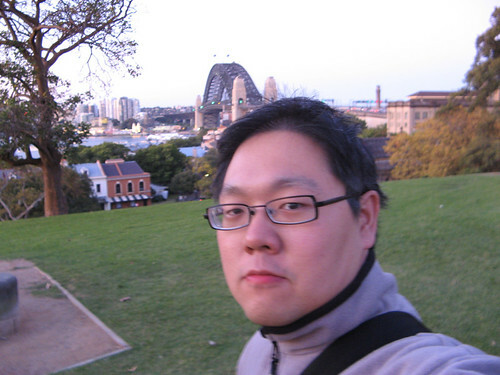 – A guy from Finland, working as a tax advisory worker in Sydney. 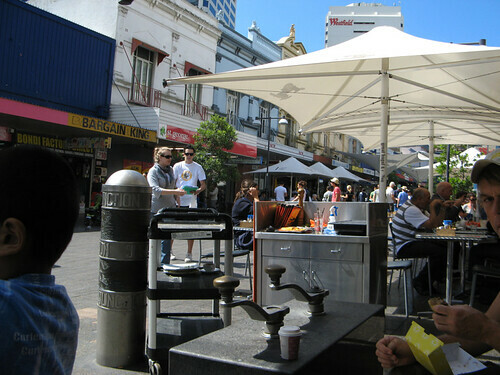 BIG Hostel – Very good location near Central Station and Chinatown and about a 15 min walk from Darling Harbour. Decent communal kitchen if you prefer to cook your own meals. 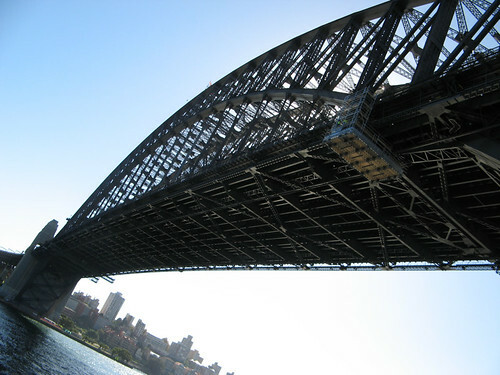 I would gladly recommend Big Hostel to anyone looking for budget accommodation in Sydney. The dorm rooms are spacious. They even have a TV and a toilet for each of the dorm. 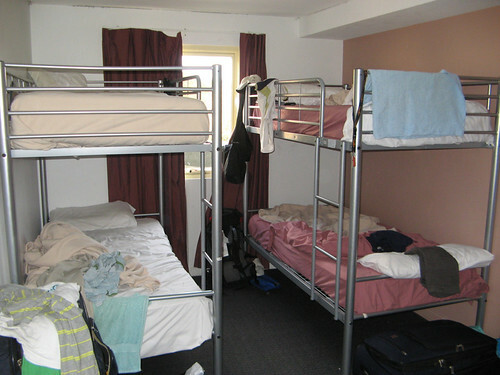 The rooms are kept clean and people are very friendly. Overall, it was a positive experience. 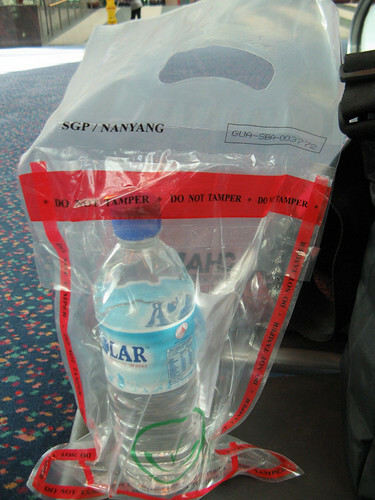 Sidetrack: During my departure in SG, Purchase a mineral water for $1 and the salesgirl seal it up for me so that I can bring it on flight… 🙂 I am surprise the willingness to go through the trouble for me just for a bottle of $1 mineral water..
ecided to wake up late this morning, and have a lazy walk around for my itinerary today (since this is my 3rd time to Sydney). All my room-mate all gone when I woke up. OK, not too bad, at least I do not need to rush with them to use the toilet. If I did recall, there was a mad rush for the toilet while I still lying on the bed. I was once offered a job in one of building in the background. 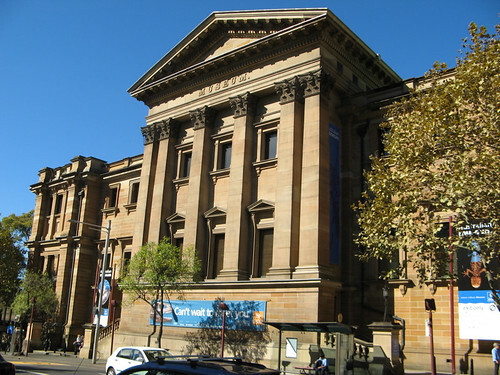 After my lunch, decided to pay Australian Museum (opposite Hyde Park) a visit. Entrance is AUD$12. It was a money well spend. I spend the whole afternoon in the museum, joining a highlight tour of the museum at 2pm. The museum is rather interective, allowing you to touch the various diverse collection of exihibits. During my visit, there were special exihibits on Dinosaurs, which was cool. I also manage to catch a glimse of a mummy – which is a resident exihibit in the museum. After my visit to the museum, spend my rest of the afternoon reading book at Hyde Park, which is across the museum. At 7pm, caught up with my friend Edwin and Xiao Jie for dinner. Being with them really bring back memories of my days as a student in QUT(Brisbane). We have a good time talking and chatting away. 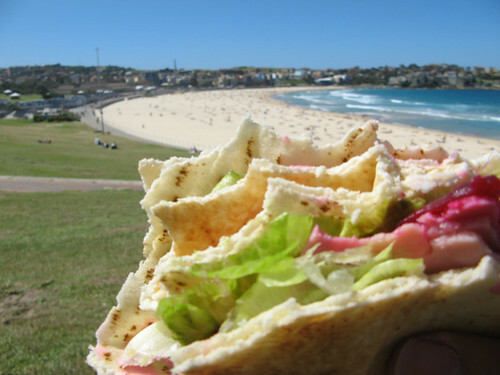 After dinner, we took a car ride to Bondi Beach for a cup of coffee before taking a walk along Bondi Beach… My only regret is that I forgot to take a picture with them on that day…. :(. Now it is only memory of the wonderful evening that I had with them. 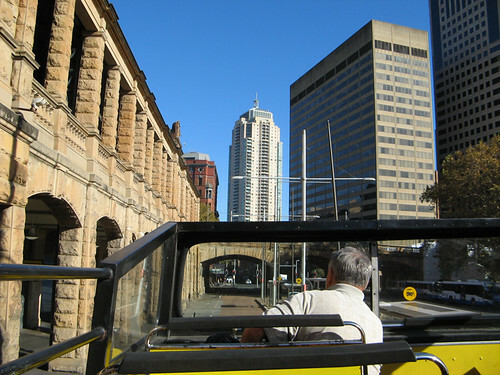 Today decided to catch a Sydney Hop-on Hop-off Sightseeing bus. 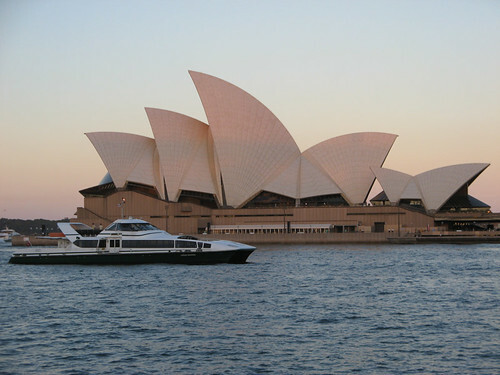 There are 2 company that provided this kind of service in Sydney. Generally, they are the same. The only reason why I choose this is because, it is unique & cheaper. 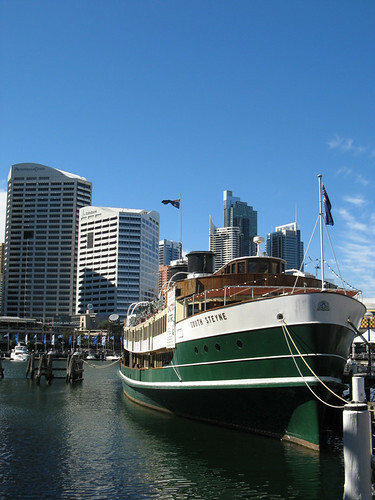 The other company is Sydney Explorer. I believe Sydney Explorer brings you a further route out of the Sydney. 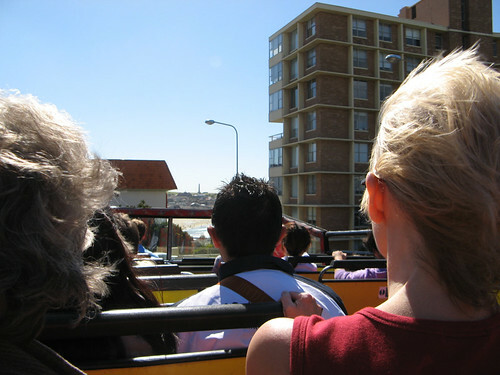 However, I did not regret taking the fun double decker bus. 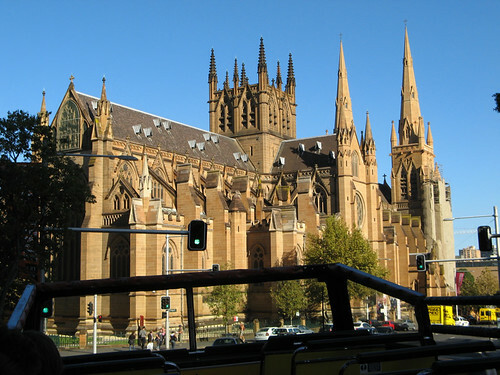 I believe it is sufficient for a day tour.The route route has been planned to take sighterseers to the best attraction across Sydney and Bondi. The bus stop at Central station and this is convinient to me, since Central station is just across the road where I am staying. pretty much just enjoying the view from the bus for that morning. 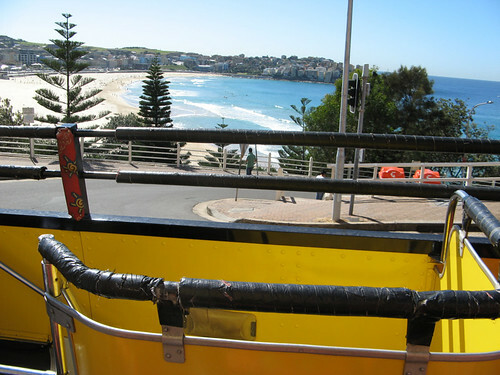 Around late morning, decided to transfer the bondi-bus to pay a visit to bondi beach. The journey there was pleasant. The tour starts at 8pm and I am the Rock at 6.30pm. 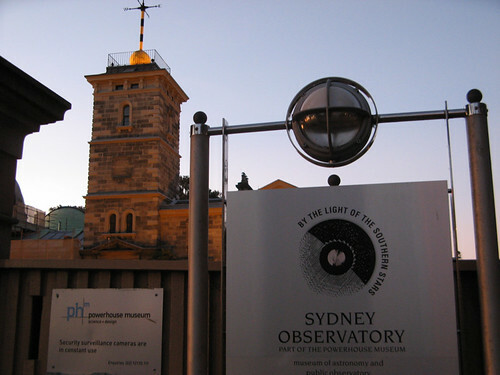 Well, spend the rest of the evening strolling… before going up to observatory hill..
At 8pm, after a long 1 hour wait under the stars, the gate opened and the long awaited tour started. 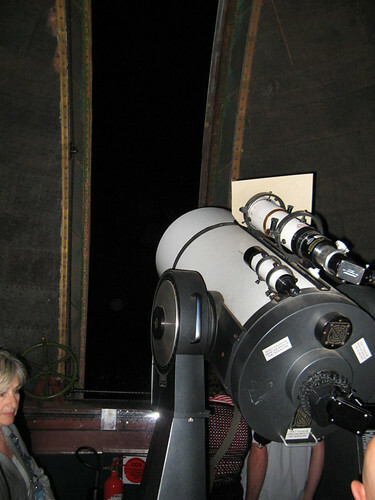 The most exciting part of the tour is no other then the visit to the observatory… 🙂 The observatory is rather cool… everything is electronic and computerized. Even the shifting of the dome is computerized. 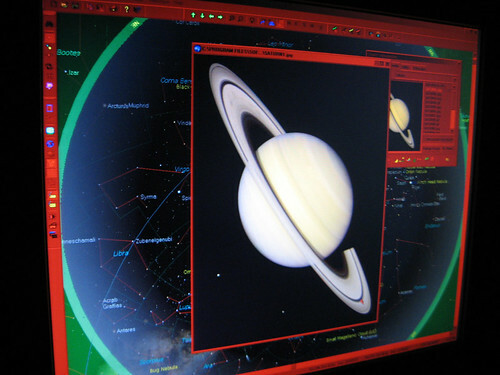 I really saw Saturn…through the scope.. Nothing much on Day 4. 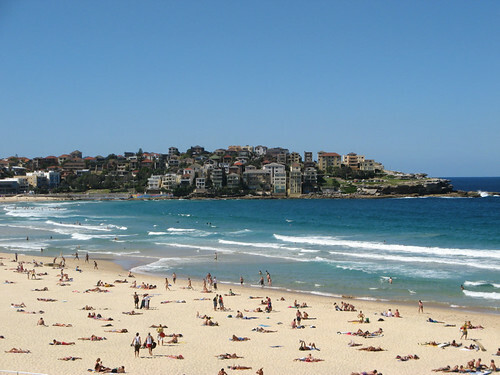 Last day in Sydney and feel like lazing around. 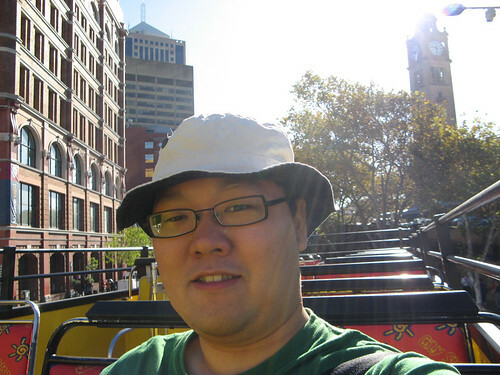 Did a morning walk in the city before returning back to the lodge. 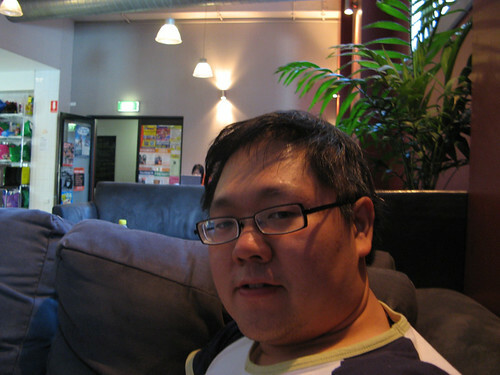 Occasionally, I will pop by the internet cafe to have a chat with my wife. In the internet cafe, bought a pre-paid bus transfer to the domestic airport in the evening. Spend my rest of the day hanging around the lodge, reading my book, pondering my time in Sydney and getting excited for my next phase in my holiday – MELBOURNE.